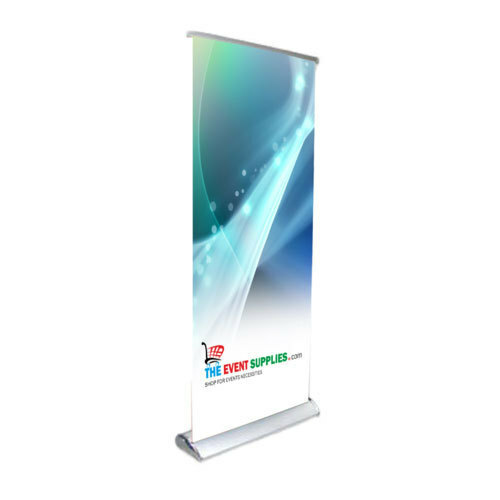 Owing to our proficiency in this domain, we are providing our clients an optimum range of Roll Up Standee. Commenced in the year 2012 at, Hyderabad, Telangana, we “Innovative Advertising Solutions” are a “Partnership” based firm, engaged as the manufacturer of Display Signages, Roll Up Standee, Advertising Hoardings and Demo Tent. We have established ourselves as coveted organization, involved in providing of these products. Our offered products are known for their most far-fetched quality and far-fetched finishing at the reasonable price in the specific time frame.